Summary: We are potentially looking for two new contractors to help out on projects starting in the autumn. The assignments are likely to be 2-3 months, possibly part-time. - C# ASP.NET developer, to work primarily on the web based management/authoring tool for our chatbots. You need solid C# ASP.NET skills but the project is not over complex so would suit a more junior coder. - Unity developer, with a focus on scripting/coding (C#) more than 3D design. Experience of deploying Unity on the web and for iOS/Android would also be highly desirable. May extend in to 2013. Both roles are likely to start in mid/late September, and will be based at our offices in Birmingham, although some home working may be possible. You must hold British citizenship and will be required to bring your passport to any initial interview. Further details may be posted on our website in due course. Daden asks industry - what makes a good interactive chatbot? A survey to find out what functionality users want to see when they interact with a virtual agent - or chatbot - has been launched by chatbot specialists Daden Limited (Daden). 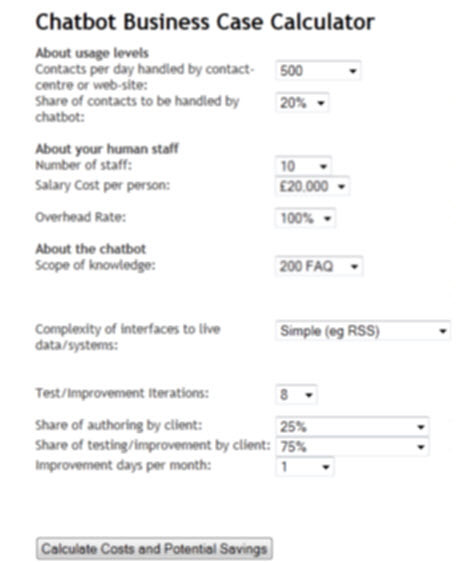 Increasing in popularity, chatbots (a computer programme which maintains a conversation with a person using natural language) are seen as a cost-effective support to customer service desks and live chat. Available 24/7, chatbots respond to queries and frequently asked questions enhancing customer experiences and directing visitors to relevant web pages. To consider future development of the industry as a whole, Daden have devised a short online survey to understand what functionality people would like to see in chatbots. 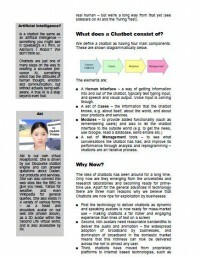 Read more about: Daden asks industry - what makes a good interactive chatbot? How many times has your chatbot been thanked? Summary: #chatbots #daden How many times has your website been thanked? Blog Post recalling a conversation that Daden’s own chatbot Abi had. Read more about: How many times has your chatbot been thanked? The white paper aims to help organisations and businesses understand what chatbots are, how they are being used to win more customers, grow revenues, improve customer satisfaction and reduce cost. A new white paper on deploying chatbots has been released by virtual worlds and chatbot solutions provider Daden Limited. The white paper aims to help organisations and businesses understand what chatbots are, how they are being used to win more customers, grow revenues, improve customer satisfaction and reduce cost. Chatbots are known by a wide variety of terms including virtual assistants and virtual agents. Some are quite sophisticated whilst others offer no more than a simple site guide and although the concept of chatbots have been around since the 1950’s it is only in the last five years or so that early adopters, such as Ikea, have been using them. They are however growing in popularity and the E Commerce Times reported in June that “approximately 10% of the Fortune 1,000 already have them”. Daden have over a decades worth of experience of working with chatbot technology and speech systems. “We have seen an increasing interest in chatbots and chatbot technology over the last three years - so much so we felt the time was right to issue a white paper to help demystify the subject and explain the different types of chatbots.” said Daden’s Managing Director David Burden. Summary: AI specialists Daden are recuiting a 3D Builder, AI Programmer, eLearning Analyst and a Production Assistant. Virtual worlds and AI specialists Daden Limited have a global reputation for innovation in virtual worlds such as Second Life and develop virtual world and chatbot/AI solutions for enterprise users, particular in support of education/training, building and data visualisation and collaboration. 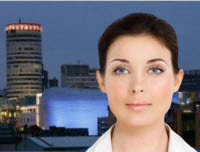 They are currently recruiting for 4 permanent roles, all based at their offices in Birmingham UK. Details below.